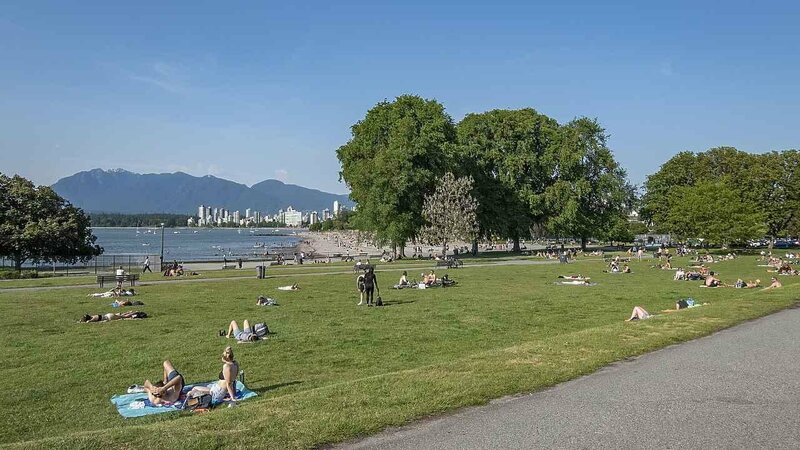 Steps from Kits Beach! 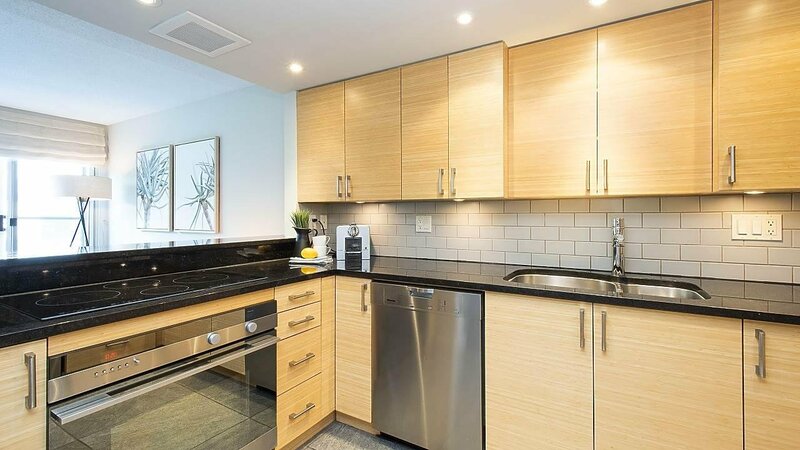 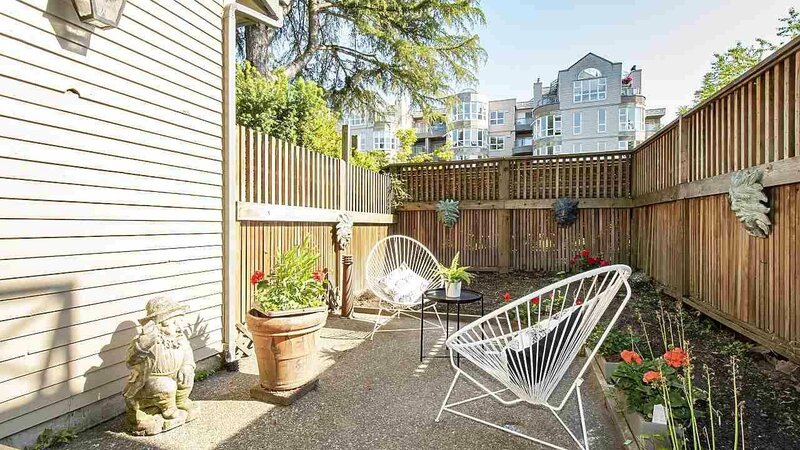 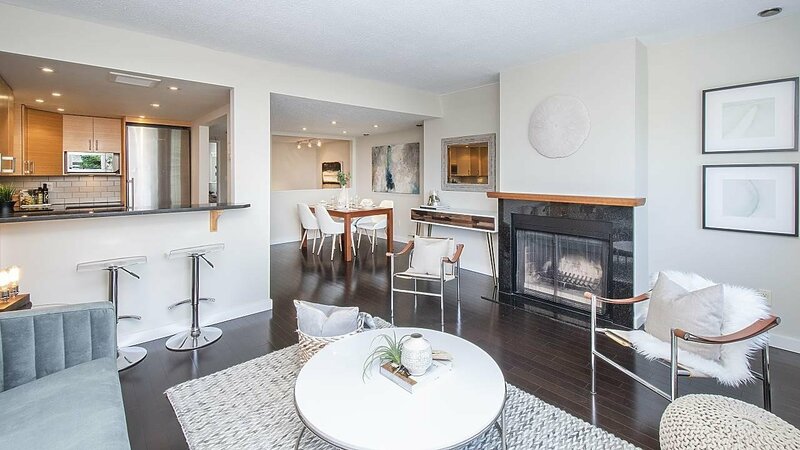 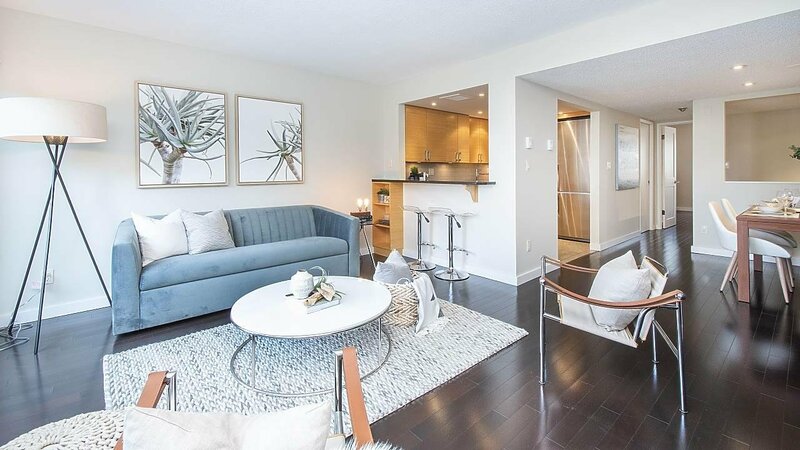 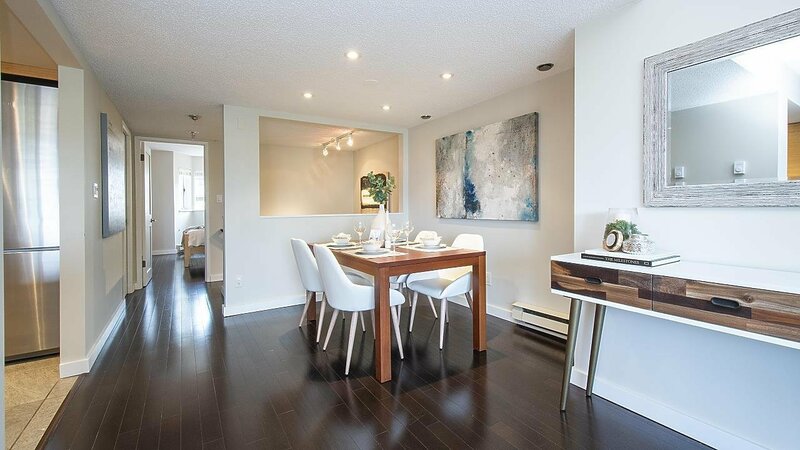 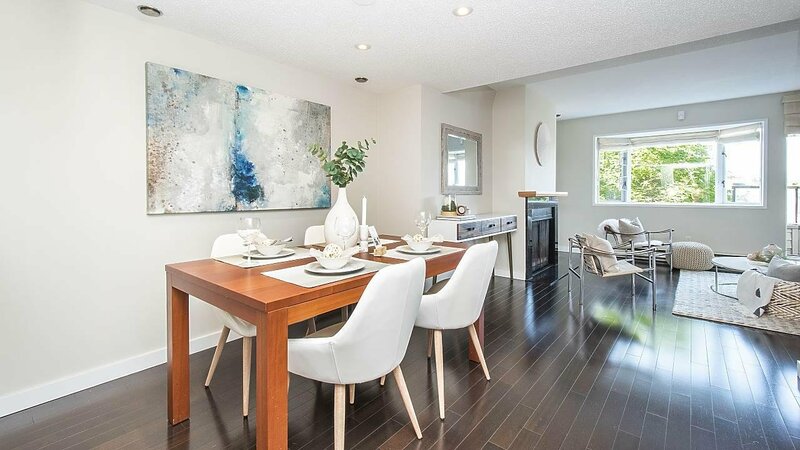 A gorgeous 2-level townhouse offering 2 bedrooms and 2 bathrooms spread across 1,161 Sq. 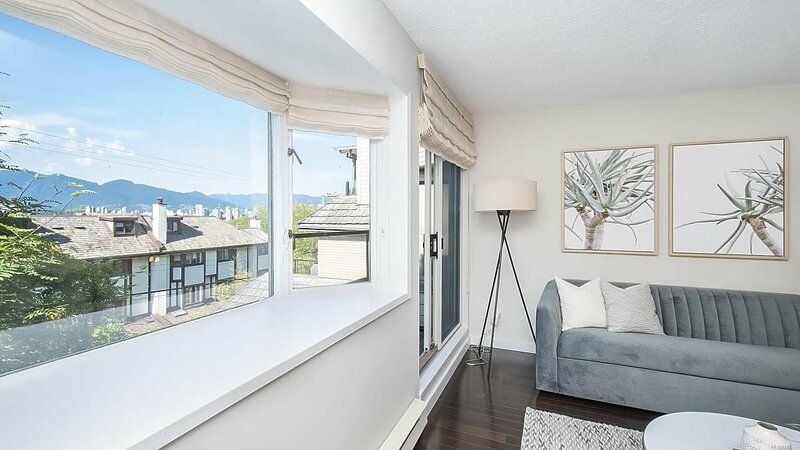 Ft. Open concept living and dining area finished with dramatic dark hardwood floors with rare wood burning fireplace place and large windows showcasing mountain and city views. 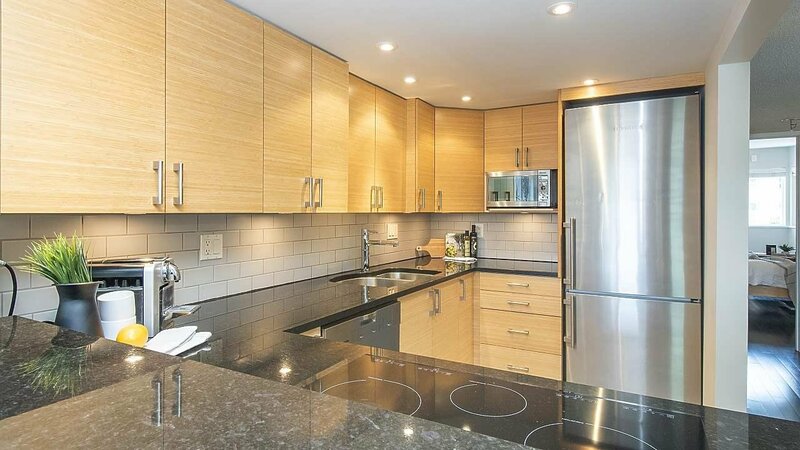 Sleek kitchen finished with granite countertops, stainless steel appliances, pantry and peek-a-book wall over eating bar. 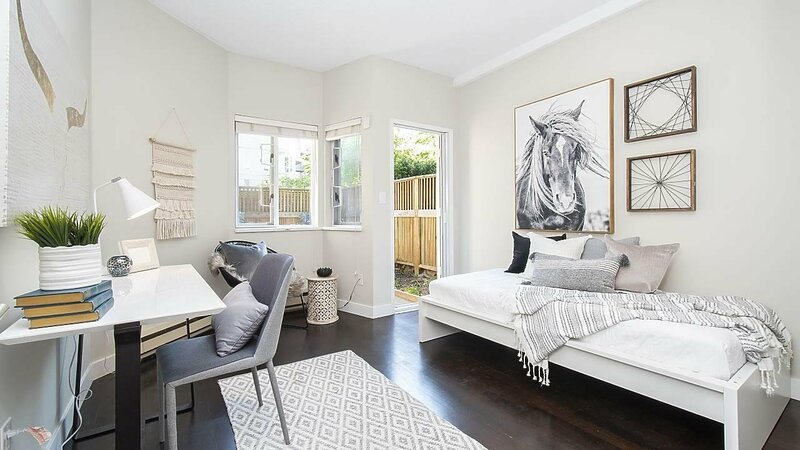 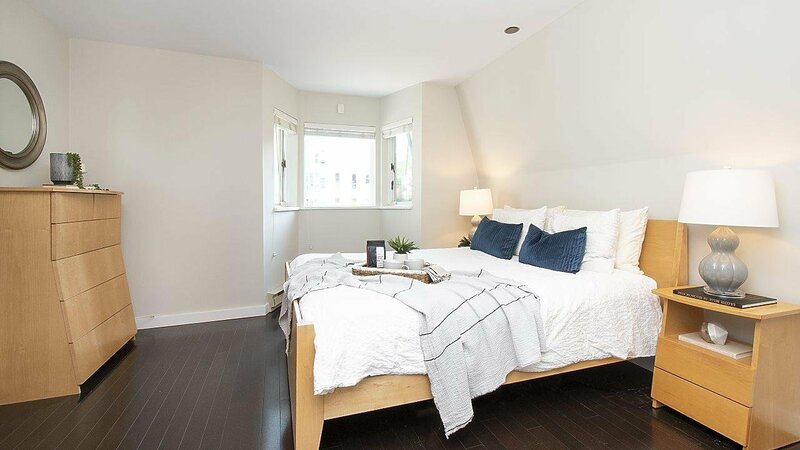 Spacious master bed with 8 Ft. ceilings, updated ensuite and walk in closet. 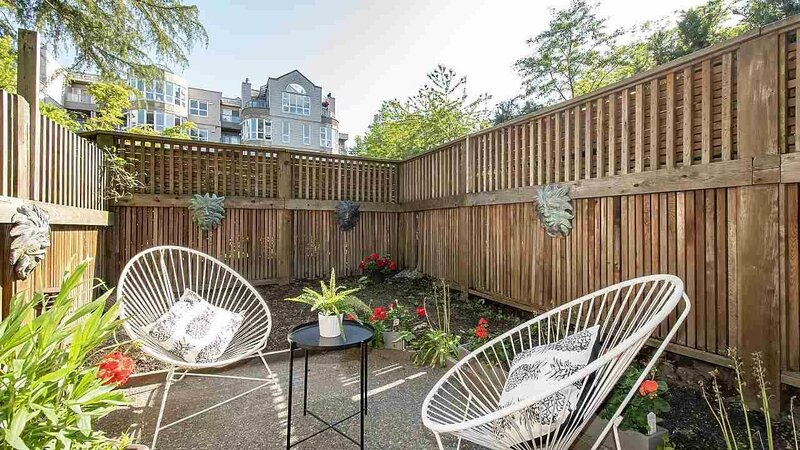 Main floor boasts a fully fenced, south facing, backyard with patio. 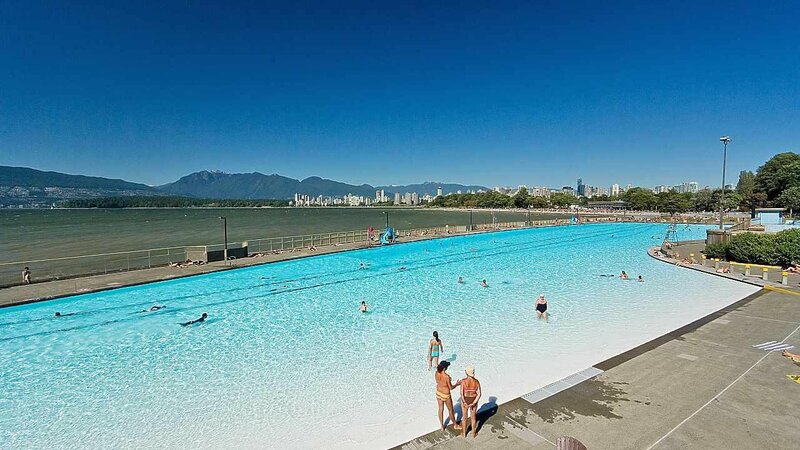 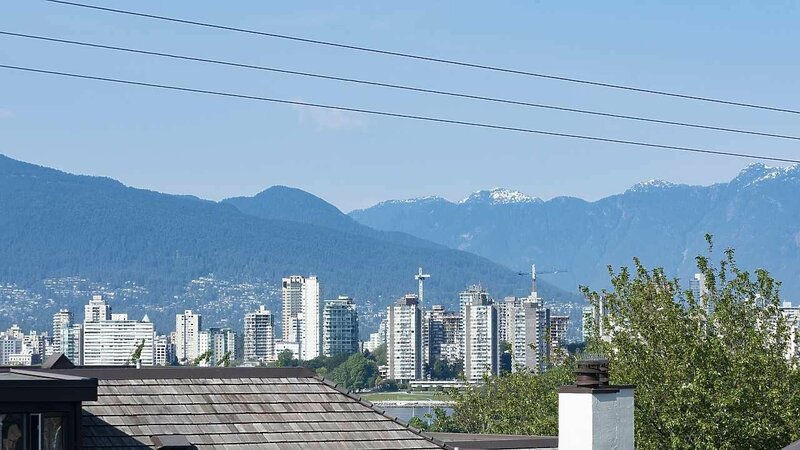  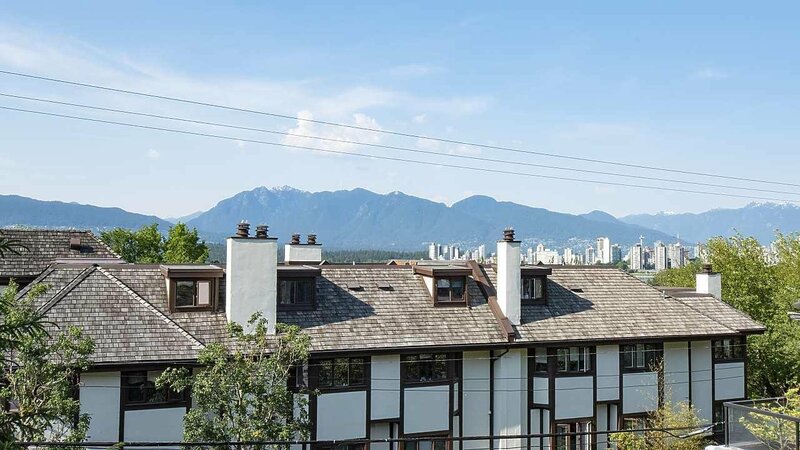 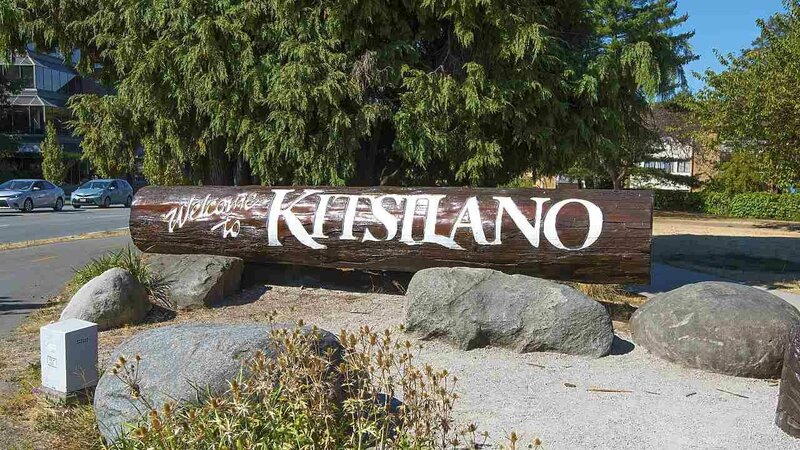 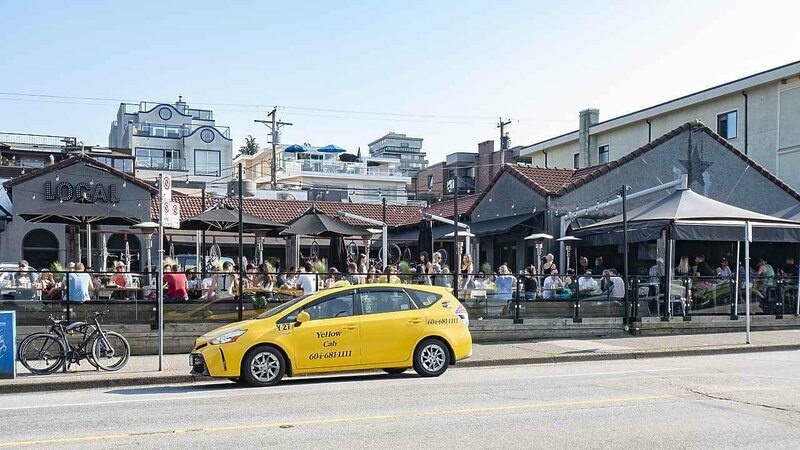 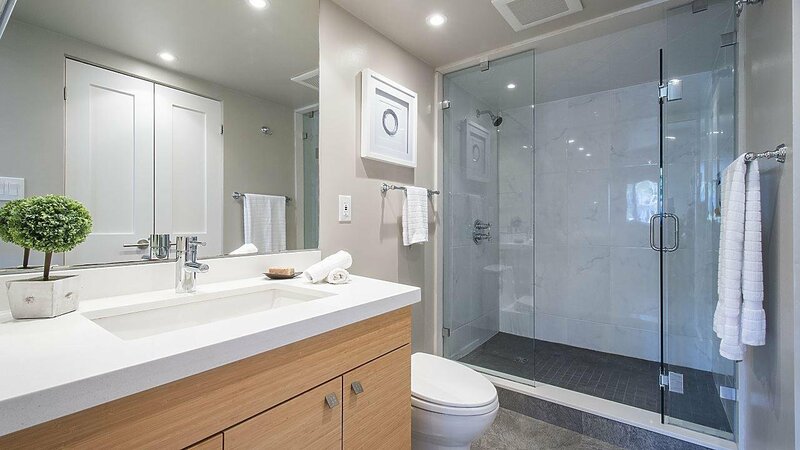 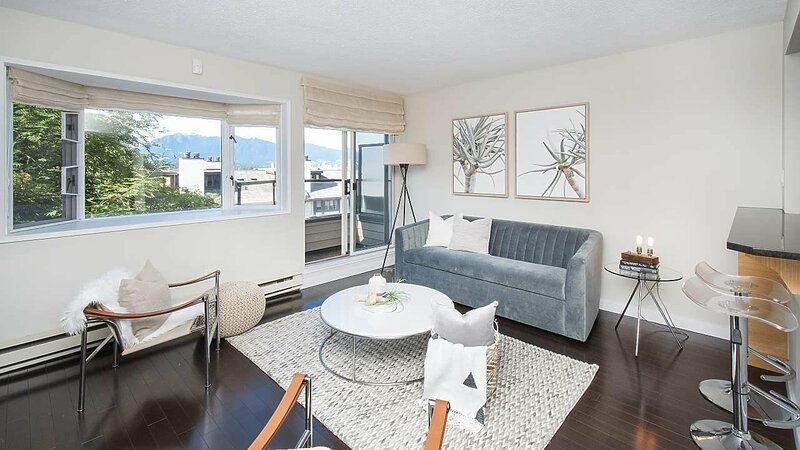 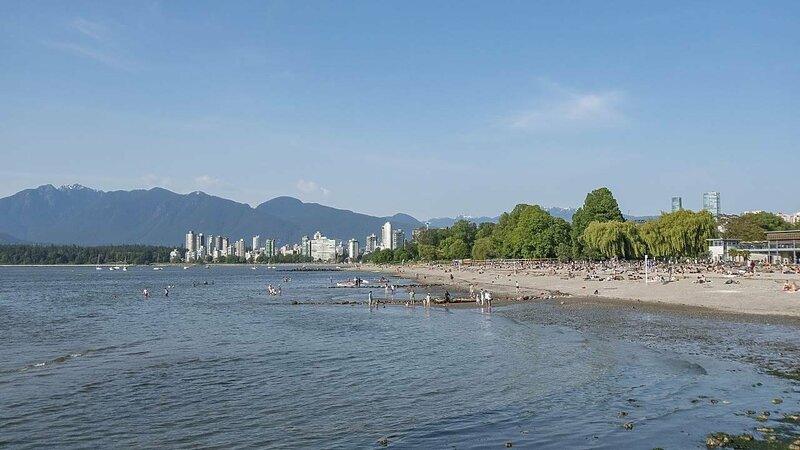 Located in beautiful Kitsilano Neighbourhood, known for it’s Organic Hub with extensive Restaurants and Retail to explore with Kits Beach right at your fingertips.